We recently reported about the Transportation Industry’s bright idea to make behemoth trucks even more monstrous (Big Rigs Getting Even Bigger?). 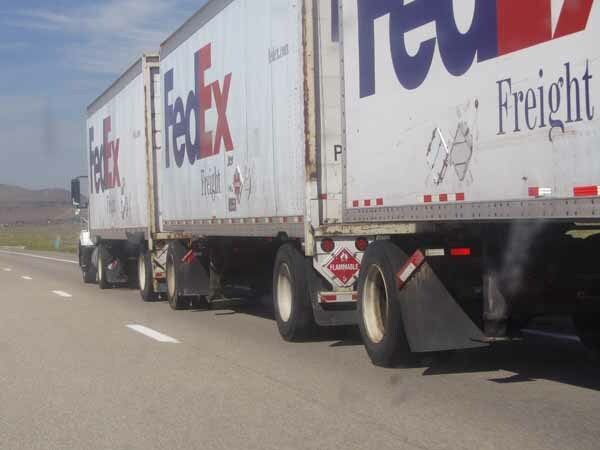 If approved, it would not be uncommon to see 100-foot long triple-tractor-trailers sharing our roads with family vans, smart cars and Mini Coopers. To put it in perspective, two basketball courts side-by-side have a width of 100 feet. The trucking industry is now asking Congress to permit them to increase the national weight limit on tractor-trailer trucks almost 20% from 80,000 to 97,000 pounds. Well, the House committee on Transportation and Infrastructure said no, for now, at least. They are stalling the request, and mandating that trucks stay the same size, for now. Over the next three years they will study the costs associated with increased truck sizes. The committee was primarily concerned with the costs of repairing and replacing beat up roads (especially those costs to local governments and taxpayers). However, many people who are against the increase for safety reasons will take this opportunity to rally their forces for the next time this request is made. Part of my problem with increasing truck sizes is certainly visceral. Those things scare me, sometimes. But my other problem is, as a Maryland trucking accident lawyer, I’ve witnessed not only the devastation that can be caused by a tractor-trailer accident, but I’ve seen the shoddy maintenance for our nation’s fleets of trucks. One of the biggest factors in trucking accidents is velocity–heavier trucks will often have a higher velocity. I’ve seen trucks that have failed brake inspections, and were put back on the road. Giving trucking companies license to use bigger trucks just puts us all in more danger.